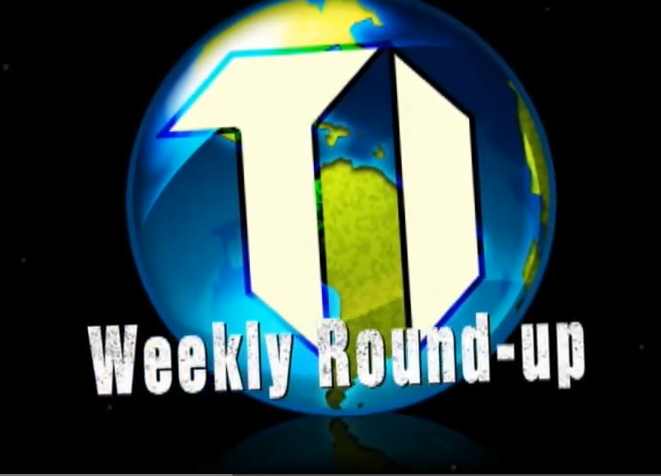 VIDEO: Get Ready For TeenInfoNet’s Weekly Round-Up! It’s the end of the week for February 14th which means it’s time for another edition of TI’s Weekly Round-Up today, February 15th! In this music edition of the Round-up, we give you a quick lowdown on what’s happened big for music this last week! From Meghan Trainor‘s awesome cover on Seventeen mag, Taylor Swift‘s wax statue reveal to Cody Simpson‘s “Flower” video premiere and a whole lot more! Don’t worry! We got the coverage for you! Check out what’s hot for this week in TI’s Weekly Round-Up below! Meghan Trainor On The Cover Of Seventeen Magazine! So excited! 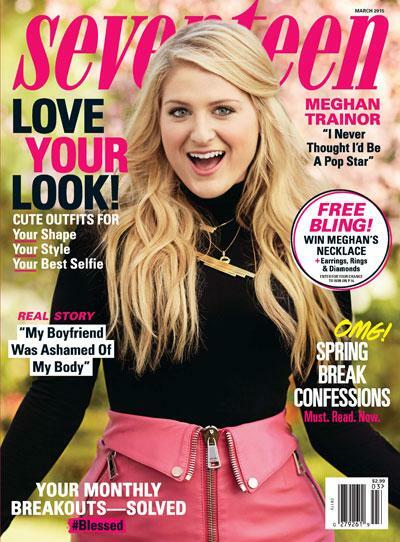 Amazing recording artist Meghan Trainor is on the cover of Seventeen Magazine for the month of March 2015! Make sure you make your way to the newsstands and get your copy now! Tanner Zagarino In ‘Seventeen’ Magazine?! #SEVENTEENxTanner — Details Here!! Fashion Icon and Model, Tanner Zagarino, has just made a huge announcement! As of today, January 5th, Tanner will be in every issue of Seventeen Magazine this year starting with the February 2015 issue. Tanner is apart of the 2015 Hot Guy Panel, which means for the whole year he will be posting dating advice. As well as sharing some dating advice he will also be sharing photos of himself. This month’s issue includes photos of Tanner with puppies. We are so excited for Tanner and can’t wait to see the doors that open up for him this year. Be sure to pick up the February issue now! TEN more issues with Tanner to go!! Go Behind The Scenes Of Maia Mitchell’s Seventeen Magazine Cover! – Watch Here! ABC Family star from The Fosters and from the upcoming Disney Channel Original Movie Teen Beach 2, Maia Mitchell, is on the cover of Seventeen Magazine‘s Prom issue for 2015. Luckily for us, we get to go behind the scenes of Maia’s cover shoot with the magazine! Be sure to check it out by watching the video below! The Beautiful Maia Mitchell Is On The Cover Of Seventeen Magazine! The beautiful Maia Mitchell star of ‘The Fosters‘ on ABC Family is on the cover of ‘Seventeen’ Magazine’s Prom Edition! So go to newstands and magazines stands and get your copy while they are hot! One Direction Covers ‘Seventeen’ Magazine – See Their Cover Here! The guys of One Direction – Harry Styles, Zayn Malik, Niall Horan, Louis Tomlinson and Liam Payne – are on the cover of Seventeen magazine’s November Hot Guy issue and there is no doubt why they shouldn’t be on the cover! which hits newsstands on October 21! The issue also features hotties Ed Sheeran, Ansel Elgort, and Hunter Hayes and will be available on newsstands October 21! In the meantime, be sure to check out their cover in the photo above and let us know what you think by commenting! Check Out Bella Thorne & Heart’s On The Go Routine + OOTD! – Video Here! Ever wonder what Bella Thorne’s beauty routine is like? Bella always takes time to look lovely despite her busy schedule, and now you can find out how she does it here! Bella Thorne and Heart share their simple everyday skin and beauty tips for your daily routine thanks to Seventeen Magazine! Learn how to keep skin clean on the go, plus get Bella’s OOTD and life hack blow! Ariana Grande Is On The Cover Of ‘Seventeen’ Magazine – See Her Cover Here! Be sure to pick up your copy on August 5, 2014 which is when the magazine hits newsstands! Inside the issue, Ariana shares some personal things in her life, her songs and where her career is going. Be sure to also check out some more pics of Ariana from inside the magazine in the photos below and let us know what you think by commenting! Bella Thorne Shoots With Neutrogena & Seventeen Magazine! – Pic Here! “Had a great time shooting with #Neutrogena today…. and @seventeenmag.” How exciting!! We can’t wait to see more of what Bella, Neutrogena, and Seventeen Magazine have in store for all of us to see! Bella is looking lovely in purple on set. Purple seems to be her color lately! We always enjoy seeing what great styles Bella will rock next! 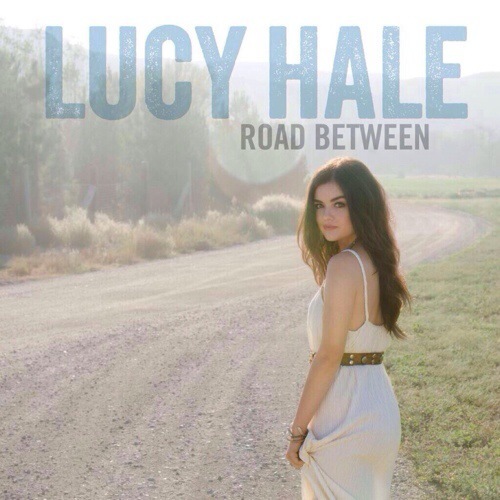 Lucy Hale Will Be With Seventeen Magazine — Ask Her Questions!! Lucy Hale has a busy day ahead of her in New York City today, June 30th. She started off her day with a performance on Good Morning America and later today she will be with Seventeen Magazine. If you have questions for the PLL star be sure to tweet them to Seventeen Magazine @seventeenmag!